Queen Elizabeth II will soon be a great-grandmother for the fourth time, as granddaughter Zara Phillips Tindall is pregnant, announced a statement from Buckingham Palace, on Monday. "Mr and Mrs Mike Tindall are very pleased to announce that Zara Tindall is expecting a baby in the New Year. “The Princess Royal and Captain Mark Phillips, Mr Phillip and Mrs Linda Tindall, and members of both families are delighted with the news,” read the statement. The announcement comes just days before Prince William and Kate Middleton are due to become parents. 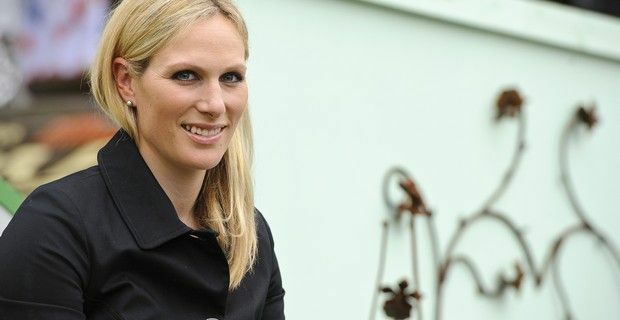 Zara Phillips Tindall, is the daughter of Princess Anne and Capt. Mark Phillips, and is an Olympic equestrian silver medallist (London 2012) and she will be giving birth to her first child early next year. The child will be Princess Anne's third grandchild, as her son, Peter Phillips, has two daughters, Savannah and Isla. The 32-year old Phillips married England rugby player Mike Tindall in July 2011 in Canongate Kirk, Scotland and when their child is born, he or she will be 16th in line to the throne, and like her mother and uncle Peter it will not hold a royal title. Even if Phillips is supposedly just in her first trimester, she hasn’t slowed down and continues to keep a very busy event schedule. She competed at the Barbury horse trials near Swindon on Saturday and is due to ride at the Brightling International Horse Trials in East Sussex on July 13, and is also entered in the Aston-le-Walls horse trials in Northants on July 19, to be followed by the Carlton trials in Bedfordshire on July 27. In 2009, Phillips launched a jointly designed equestrian clothing range named ZP176 for Musto.